We have had a lot of trout in the Colorado river here below the Davis Dam. 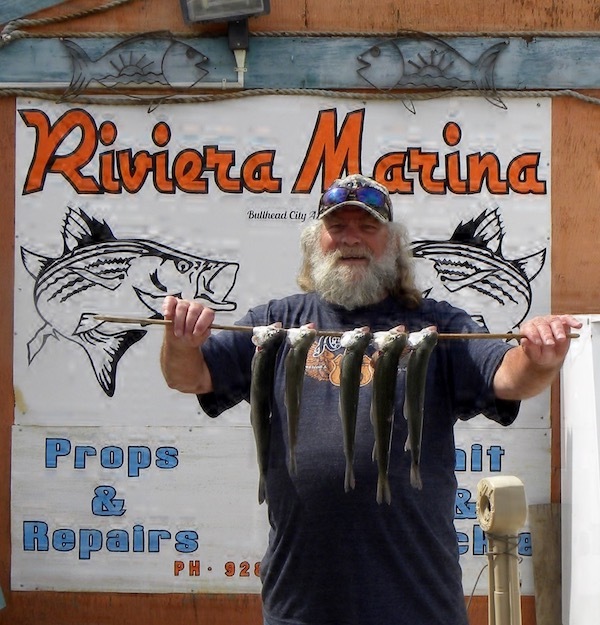 Our local anglers are having some great success in landing their limits of 5 rainbow trout. Jerry Bussdieker was fishing from shore in the community park area. He was using power bait to land these trout. I have reports of spinners also working well rooster tails panther martins blue fox to name a few that have been working. For your bait, night crawlers and various colors of power bait light green yellow and orange were doing well. 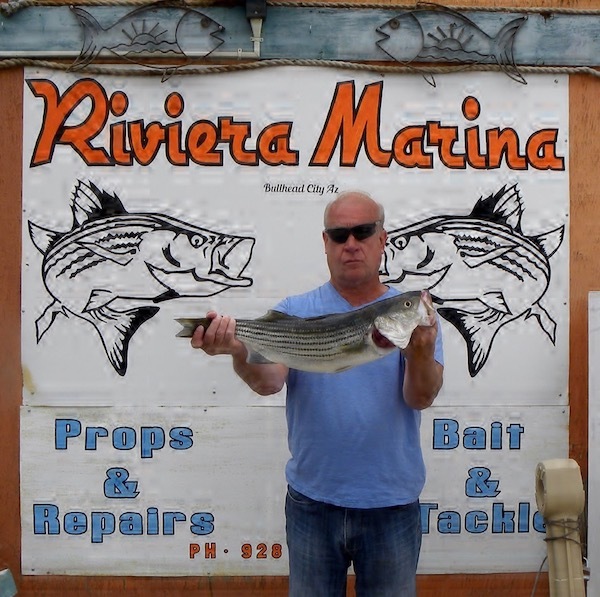 I have been getting some striper news mostly below the dam and running in the 2 pound range with some in the 5 to 7 pound range. the Large mouth bass and the smallies are or should be on the nests. This time of year its best to catch and release in that area if you must target these fish. Try and be careful to not damage these guys unless you are going to eat them. However, they are protecting the next generation. I did get one of or local anglers to let me put this catch of gizzard shad, the larger one weighed in at 3.7 pounds which is large for this species. These are usually bait fish and a prime source of food for the stripped bass. When they get this size they will have a lot of offspring. Another thing about these they are fun to catch using fly fishing techniques, even rattle traps can work. Not sure but I have heard they are ok to eat, tasty I do not know, but waiting to hear back as our bashful angler was going to keep me posted. 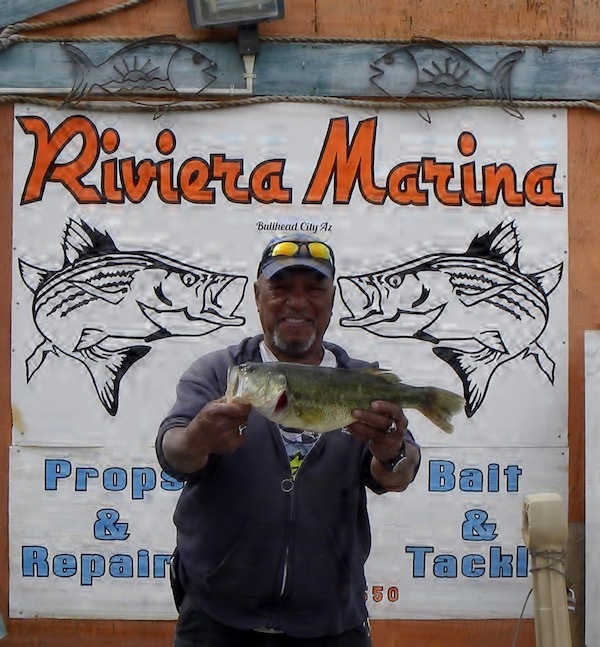 A brief update the Bullhead City's striper derby is looking like a go for the 8th and 9th of June. Various prizes for the anglers and a raffle that is open to all to encourage the public to meet and great our anglers. Find out what they might use what about that line and or pole and reel. I will keep you informed as we get closer and I am sure we will get more updates. So for now thanks for all of your support hope this helps some and we will see you in soon with that catch to share. Now Go Catch A Fish!